"Highly recommended to all my family and friends." "Dr. Park is very thorough in answering questions and explaining procedures." "Dr. Charles Park has done an excellent job fixing my teeth. I trust his work." "I've been with him for years. He's friendly and genuinely cares for his patients." Orange Dream Dental is a modern dental practice serving the oral health needs of patients from all over Orange County. 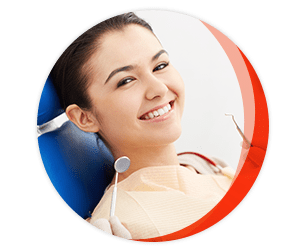 Conveniently located in Orange, California, the practice is family oriented and features a friendly and highly experienced team of dental professionals. 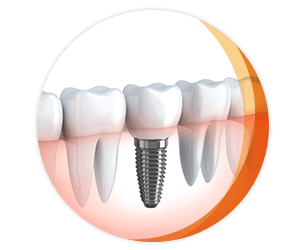 The team at Orange Dream Dental, led by Charles Park, DDS, offers a variety of high quality general dentistry services, including dental implants, teeth whitening, and several orthodontic treatment options, such as Invisalign®. The staff works closely with patients to develop customized treatment plans that cater to each individual’s needs and preferences. One of the hallmarks of Orange Dream Dental is the team stays at the forefront of technology. They offer digital laser technology and computed tomography scans that produce 3-D images of your oral structures. Patients will always benefit from the most advanced treatments in the field of dentistry. But what’s great dental care without a personal touch? The staff at Orange Dream Dental goes out of its way to make patients feel comfortable and relaxed whenever they enter the welcoming office. Patients can always expect prompt care and unrivaled service. To learn more about Orange Dream Dental book an appointment online or over the phone today. Do you want to get bright, white smile? Do you hesitate to make smile big? Call us and find how we can help you bring your smile back!! Are you tired on your denture keep loosen? Do you have missing tooth but next teeth are healthy? Does your dentist say you don't have bone for implant? Do you have tooth ache? Do you need your teeth clean? Does your spouse/friend grind his/her teeth or snoring loud? Do you have any problem related to dental health? ?